Meet Nichols, the loggerhead turtle. 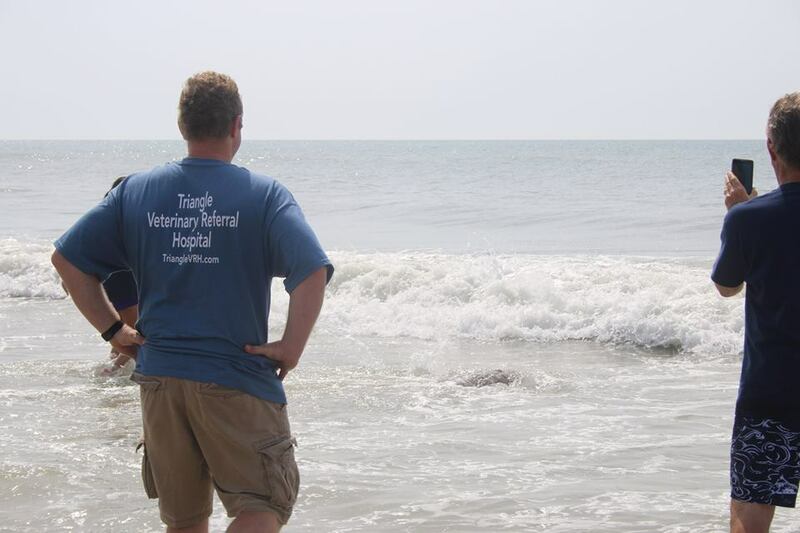 Loggerheads are just one of the endangered species of turtles treated at the Karen Beasley Sea Turtle Rescue and Rehabilitation Center in Topsail Island. Nichols suffered a boat propeller injury to her carapace and had a crab pot line wrapped around her right front flipper. In 2012, Nichols was transported to the North Carolina State University School of Veterinary Medicine where a team of surgeons worked to repair her injuries. 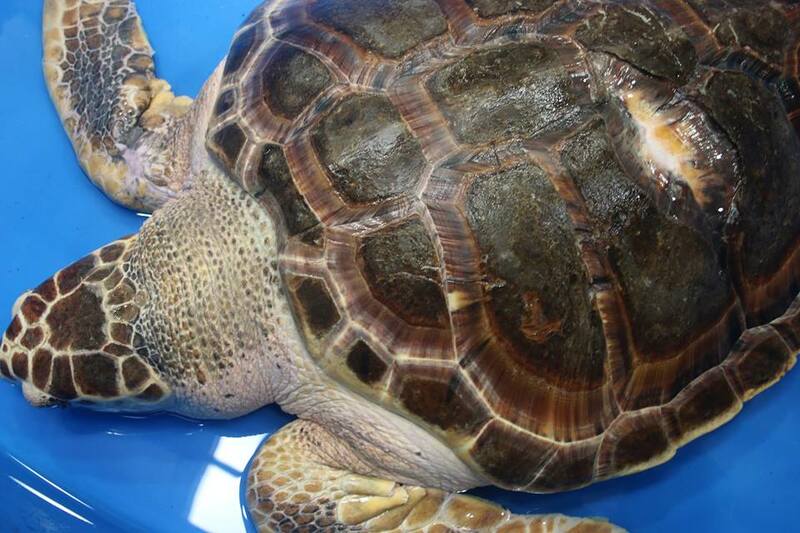 (See previous blog/link) The debris from her shell was cleaned out, allowing her collapsed lung to reinflate. Dr Grafinger focused on her flipper, stabilizing the broken bones and repairing the massive laceration. We're happy to announce that yesterday Dr Grafinger attended the release of Nichols back into the wild! How rewarding to see the end result of all the time and work that was showered on Nichols and the other turtles, freedom and a chance to live out their lives where they belong, in the vast ocean. Look at the crowd of well-wishers! Check out this WUNC article about Nichols!